Gosh, I wish there was more of this book. I want more of these characters! But what we have is still very, very good. 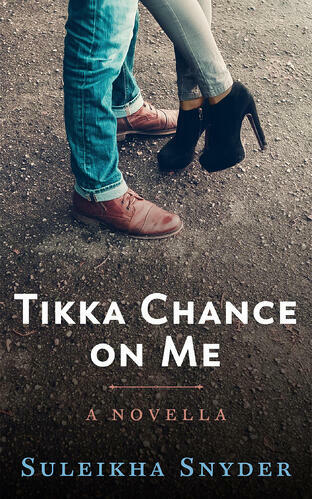 Tikka Chance on Me is about two people who return to their hometown for very different reasons. Pinky Grover came back home to small-town Indiana to take care of her sick mother and ended up staying well after her mom was better. She dropped out of her Ph.D. program to work at her family’s Indian restaurant (the only one for miles), and it’s nothing like the life she was living in Chicago. The only bright spot in her day is seeing local bad boy Trucker Carrigan. Trucker left Indiana and has come back to join the Eastville Eagles, the local semi-legitimate biker gang. He insists that he and his friends come to the restaurant once a week for Indian food, but his real motivation is to catch glimpses of Pinky. They’ve stayed clear of each other, limiting their interactions to sneaky glances and whispered flirting, but one chance encounter at the Walmart garden center (the sexiest part of any store) sets some steamy moments in motion. Since this is a novella, I’m not going to continue with the details, but THERE ARE SOME VERY GOOD SECRETS HERE. But I can say there is something very genuine about Pinky’s family obligations in this book. I am not Indian but am instead Sri Lankan-American. 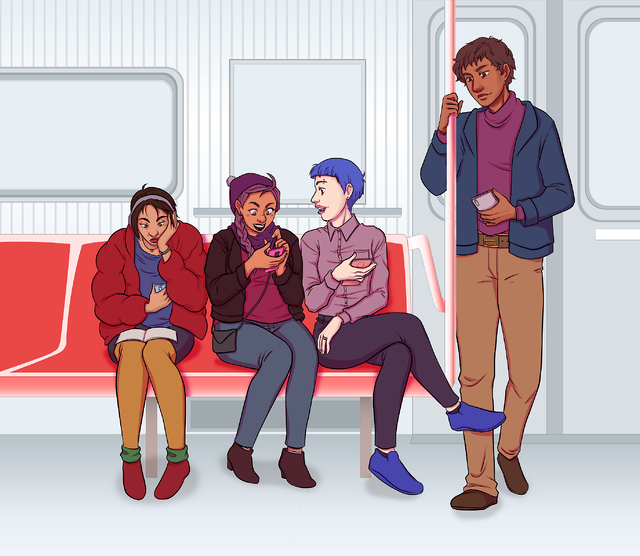 Since there are no romance stories set in America about this community (hint, romance writers make this just for me) I often find myself and my upbringing represented in Desi-centered romances. I think most Anglo families would feel the desire to help a family member, but for Desi and Sri Lankan families it’s not an option - it’s a social demand. Family comes first, always, which made me bond with Pinky. Of course, she dropped her life and her academic dreams to help out her mother because what else would you do? To say no is to bring possible family drama to your doorstep. That push and pull of family are very familiar to me, and I appreciated Snyder’s take on it in this story. I also enjoyed Snyder’s take on the rough biker trope in romance because, although Trucker is a tough biker in a gang, he’s a big softie. He loves his Captain America shirt and is the first to shut down the less open-minded members of his gang in Pinky’s restaurant. I enjoy a good alpha, but I’m done with assholes who replace romance with sexism. Snyder’s biker has all the bad boy appeals with a gooey center. It’s easy to see why Pinky is attracted to him - not only is he smoking hot, but he’s a closet nerd and attentive sexual partner. And for Trucker, Pinky is more than the hot girl at the restaurant. She’s an escape from the intensive and illegal work he does in the Eagles. They both represent something that they had in the past, which makes them grab on to each other even harder. Every hookup feels like borrowed time, and as a reader, you wonder if you’re ever going to get your HEA (don’t worry, you do). Everything leading up to the end is a blend of “Oh man this is a steamy scene” and “Oh man how the hell are they going to make this work?” It’s terrific that Snyder can pack so much into a novella, and I’ll be sure to keep tabs on what she’s working on in the future!